I love Cornish hens! The meat is always so moist and flavorful. When cut in half, these poultry portions are perfect for a meal—complete with light and dark meat. Yum! There’s also plenty of crackled skin to chew on, and a cup-sized cavity to fill with stuffing, if desired. They are convenient to grab when grocery shopping; I often see them on sale, and Costco sells 4-packs, which fits perfectly for two meals for me and my guy! I think rubbing a wet sauce right on the meat delivers a more enjoyable protein, making each bite smell and taste so intense. As I’m a fan of strong wines (red, white, and rosé), I like my food to be able to match the wine’s complex flavor profile. I drink red wine, in particular, sharing a tad with my stovetop meals, pouring a bit into sauces and stews, to add an extra punch of gusto. Red wine is a great ingredient to use for sauces as the alcohol and certain antioxidants (polyphenols) in red wine help our cardio systems by protecting against artery damage. Even when you cook wine, some of the alcohol still remains, as well as the polyphenols. What other ingredient has enough of an acute flavor and brawny aggressiveness to handle red wine? Ah, garlic! So red wine, meet garlic. Garlic is also keen on antioxidants—a fervent proponent of securing heart-friendly properties in our meals. Garlic and red wine also both have two other identical characteristics: zero fat and zero cholesterol. Let’s get these two to the stovetop! modified to serve two people; from “Rosemary-Scented Cornish Hens with Red Wine Reduction.” Cooking Light. Sept 2007. Remove and discard giblets and necks from hens. Rinse chickens and pat dry. 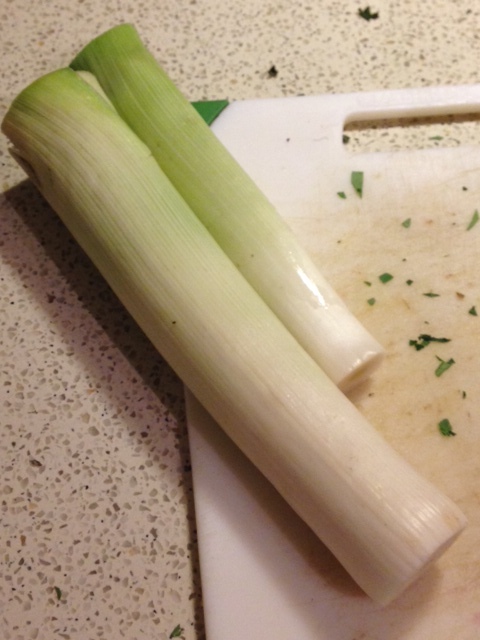 Save the giblets for making more chicken stock later. If you don’t think you’ll be making stock in the next 2-3 days, then bag up the goods and leave in the freezer for later. No need to throw these parts out as they are mighty good flavoring agents! 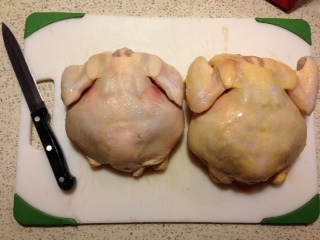 Place hens on a cutting board, back side up. 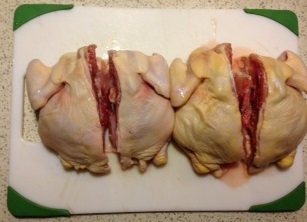 Split hens in half lengthwise using a very sharp, strong knife. Turn over chickens, breast side up. Loosen skin from hens by inserting fingers, gently pushing between skin and meat, around the breast and legs. 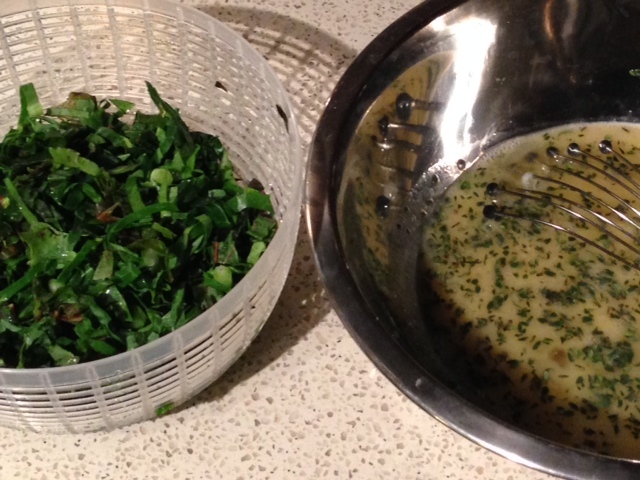 Combine mustard, rosemary, salt, pepper, and 3 garlic cloves to form a paste; rub mustard mixture under loosened skin. 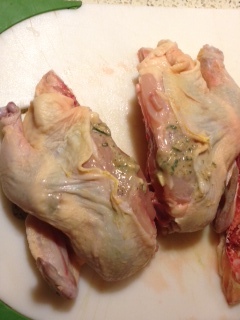 Place hen halves, breast side up, on a broiler pan coated with cooking spray. Chill 30 minutes. 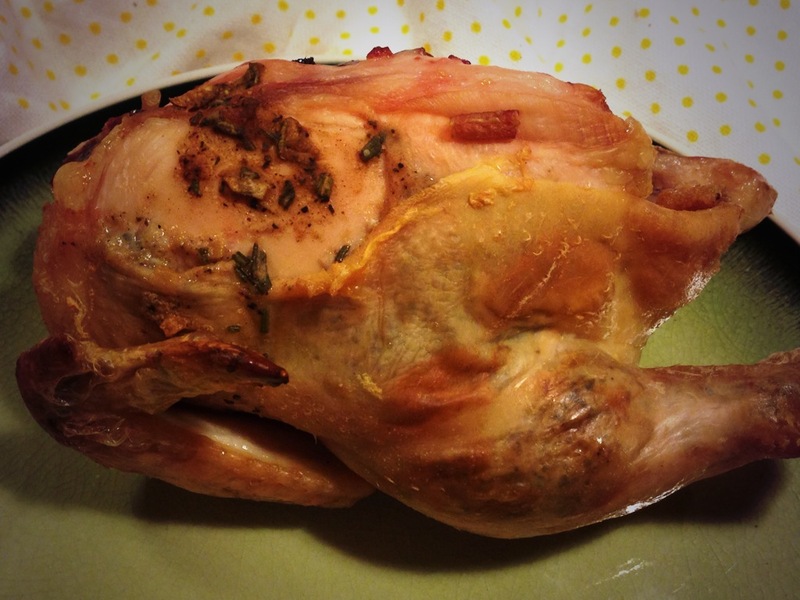 Bake hens for 30 minutes or until a thermometer registers 165°F. Place hens on a platter; keep warm. Pour drippings from pan into a cup and put into the refrigerator. Meanwhile, pour wine into a small frying pan and heat on medium heat. 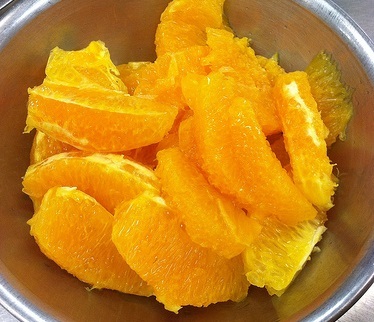 After about 5 minutes, take out the cup from the refrigerator and skim off the fat. Discard fat. I usually end up with somewhere between 1/8 cup and 1/4 cup of drippings left. Pour drippings in with the wine and raise heat to medium-high. Cook until reduced to 1/4 cup (about 5 minutes). 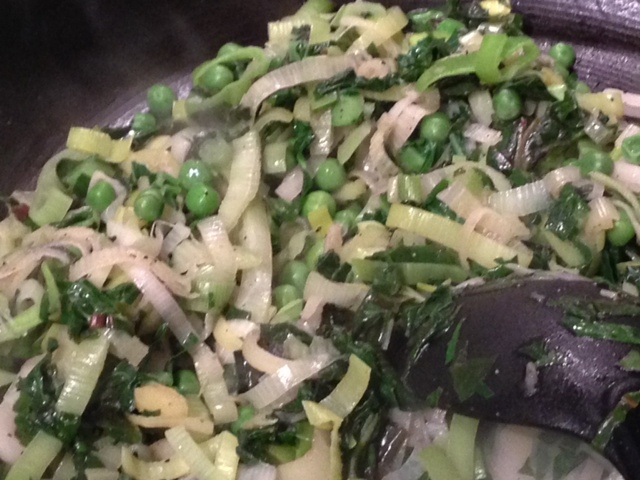 Stir in broth, wine, honey, and 2 garlic cloves; cook until reduced to 1/4 cup (about 8-10 minutes). Remove from heat. Drizzle each hen portion evenly with wine mixture. Serve immediately. For the wine, I suggest using a wine loaded with tannins, and preferably unfiltered. 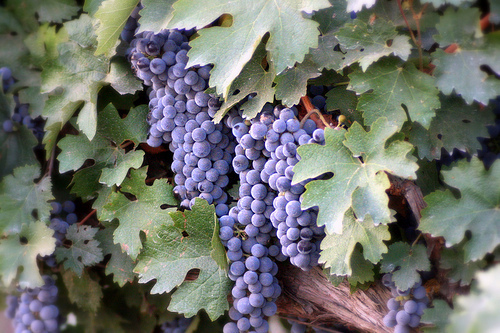 I like using wines Bordeaux, Portugal, or Washington State, as the reds coming from these locations are often made using grapes with thick skins and gritty seeds to give the wine added color, texture, and gum-sticking flavor! If you have any red wine that went bad because nobody finished the bottle, then save that wine! Although this wine doesn’t taste good, it’s fine for our bodies to digest. So add this tired wine to this recipe, or your tomato-based sauces or meat stews! Bam! 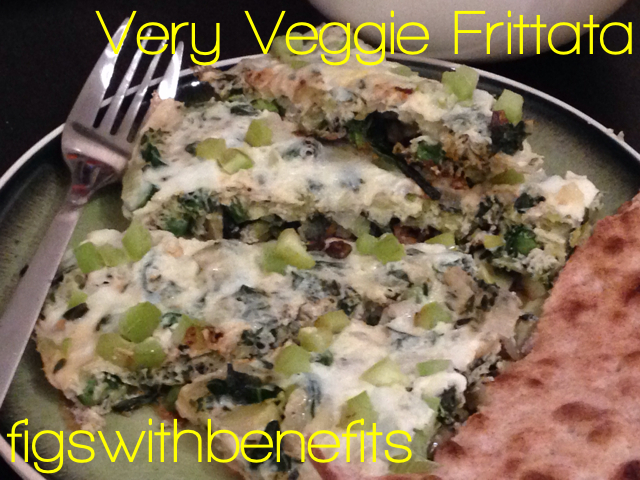 Serve with hummus and pita for a very low cholesterol meal. And bon ap, to cardio health! As a runner and typical young professional trying to keep an active lifestyle post-school years of team sports and post-city lifestyle, I know that I need to have a diet that includes foods to help my cardiovascular health. Otherwise, my restless legs will give me those guilty aches, reminding me that I’m not taking good care of myself physically. 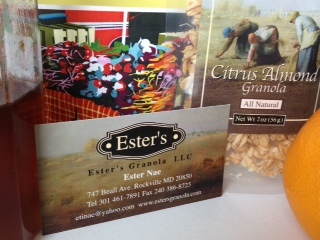 So I went to the Rockville Farmers Market **http://bit.ly/18wfyyn** (yes!) to pick up some red onions. Parking is never an easy task here, garage or street parking. After circling three times and almost giving up to just take care of my Staples run, I finally found a spot on the street by the library with some time still left on the meter. Hurray! Cloth bag, keys, doors locked, phone with grocery list on it… um, okay, go! Past the passersby and couples doing lunch on the sidewalks, we all kept to our activities hiding behind our sunglasses, but curiously glancing secretly at what the others town dwellers are up to. I kept to my mission: market fresh product. After crossing the street, hearing little girls asking their mom what fruit was in their bag for home, I made it up to the closed street where four tents stood for the Wednesday market. I saw a crate of onions… bam!! I grabbed the red ones, and then the green beans and apples that were looking too good to pass up. I’ll enjoy those later. Late lunch back at home at the apartment. My boyfriend confessed that there was a recipe his father would make back in South Africa, and he could basically just live off this spread/dip/mix as it was so delicious and healthy! The textures and tastes hit on all the complexity that our senses yearn for, yet there was only a few ingredients to make it all. I ran my chef’s knife around the avocado to cut it in half, pitted the fruit, and then spooned out the inside. I chopped about a quarter of my new red onion and mixed it in with the avocado. Next is the real star: sardines. We can discuss the benefits of sardines another day, but the olive oil from the tin and sharp wild-caught fish flavors truly add to the tantalizing texture and make every bite truly tasting different, which is a hallmark of French cuisine, if that’s your style (as I’ve been accused of!). Lastly, add some salt and pepper to taste (I suggest more salt than pepper), and some fresh lime juice, or lemon, if available to you. Add some cayenne pepper (about 1/4 tsp or double it if that heat is what you want) and mix to complete this thick and versatile bowl of goodness. 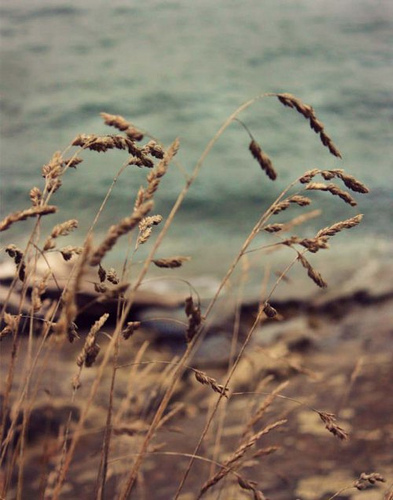 Stop… I suggest you showoff at this moment to your friends and family using your iPhone camera . 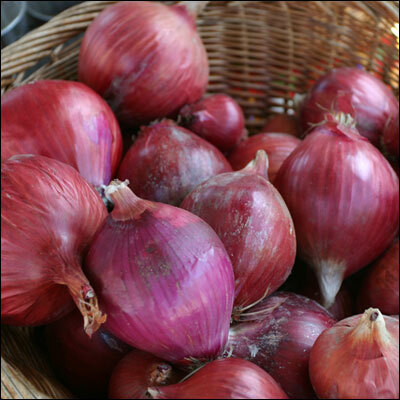 Nutrition: both RED ONION and CAYENNE have anti-inflammatory benefits and improve oxygen consumption. Our muscles need these ingredients so that we can continue to be active, boost our metabolism, and make choices in a proactive way to help decrease our chances of having cancer. This delicious duo in this recipe is an easy way to use local produce and throw in other leftovers that you may have, such as parsley, cilantro, shaved carrot, or flavored oil. Share your suggestions, too! Bon ap to cardio benefits!